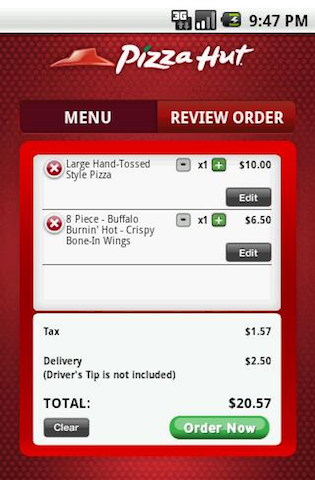 Pizza Hut has released a Android app that will allow you to order pizza right from your phone. It is as easy as looking through the menu, choosing what you want, and checking out by either signing in or as a guest. This free app is currently available through the Android Market.